Mexican insurance for Tucson Arizona Drivers – Tucson Arizona to Mexico: What are your driving options? Whether you are familiar with High Chaparral or not, you may find that Mexico provides a wonderful option for a short trip from Tucson. Unlike the Cannon family in the series from the 1960s, you don’t have to invest days of dusty travel to reach the border. In fact, Nogales is only a 70-mile drive away. However, you will want modern protection in place as you cross the southern border. Remember to invest in quality Mexican insurance for Tucson Arizona before you go. You can get Mexican auto insurance for Tucson quickly from home with a few mouse clicks and a major credit card, which can save you both time and money during your drive. Better to buy Mexican car insurance for Tucson before crossing the border. Nogales, a spot mentioned frequently on episodes of High Chaparral, is a major port of entry for those heading to destinations farther south in Mexico. This is one of the most practical ports of entry for Tucson, Arizona drivers, but be sure that your Mexican car insurance for Tucson is active before you cross. Many visitors walk across the border. However, Mexican auto insurance for Tucson can come in handy if your shopping will entail large items or lots of goods. You might also consider this border city for affordable dental care if you find the costs at home to be outrageous. Pro Tip: Mexican insurance for Tucson is necessary for toll road access, so pick up Mexican auto insurance for Tucson ahead of time! 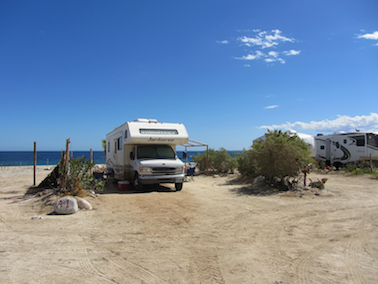 If you want more of a resort experience, you might consider heading toward Rocky Point via the Lukeville border crossing. This requires about four hours of driving from Tucson with only the last hour taking place south of the border. Mexican car insurance for Tucson covers all of Mexico, but you might want a longer policy for a trip that will span several days. The resort atmosphere of Rocky Point can be somewhat addictive, and you might need some leeway in case you decide to stay a few extra days. Don’t forget to secure Mexican insurance for Tucson! Either of these tourist destinations can be a springboard to even greater adventures in the mainland or along the coast. However, you will want to revisit your Mexican auto insurance for Tucson Arizona if you plan to leave the Mexican state of Sonora as higher liability limits could be necessary in other states. Mexican insurance for Tucson Arizona Arizona from MexicanInsuranceStore.com includes Roadside Assistance with every policy at no additional charge for your peace of mind! You’ve got to find for yourself licensed Mexico insurance provider and give you the necessary insurance coverage. Even the cheapest Mexican insurance is enough to protect your vacation days. You drive with peace of mind as well as those who travel with you.